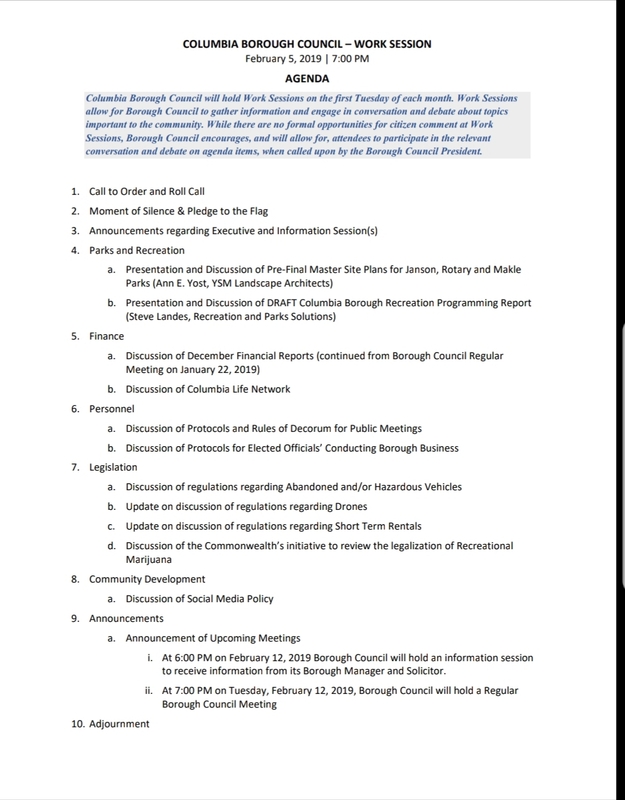 The February 2019 Borough Council Meeting Packet – with December 2018 Finance Reports is now posted on the Columbia Borough website. The 146-page packet can be dowloaded by clicking HERE. Isn't Little People in West Hempfield? Also why support the boys and girls club when they are a national organization already getting free money? Maybe because they provide a service locally? What does that mean a work session? 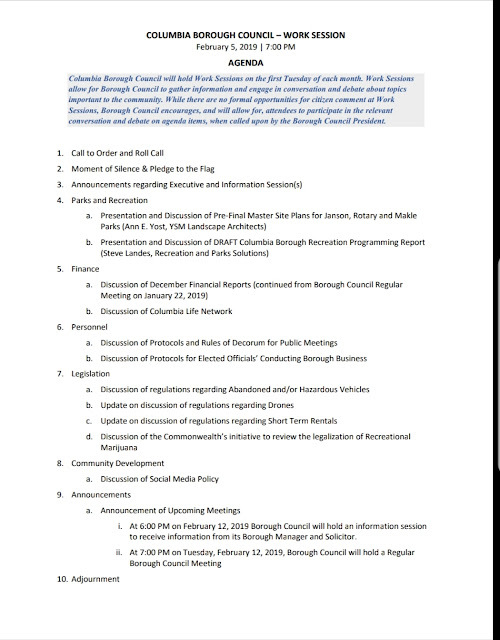 It's my impression that the various committees - safety, legislation, parks & rec, etc., will get together to hammer out details and communicate ideas. The meeting is open to the public. Interesting to see a Coucilor on the list of current codes liens. And can't help but notice a large number of outstanding taxes are due from landlords and a certain developer. There's a link to the report in the article above. WEEEED !!!! GONNA MAKE IT ALL BETTER !!! Well now we are losing a good grocery store in Columbia more tax money gone. This town is pitiful. What about the elderly people who walk there. We need a grocery store instead of restaurants and hotels. Musser's had good deals too. High rise people can't walk to Weis. is the boys and girls club a funded organization. Can they legally solicit local clubs for donations. The elderly at no concern to present council. Council people will get old some day.